Free admission. Limited seats available. Register here to save your seat. Art is a medium for an individual to develop his/her potential and to connect to the world. Art psychotherapy is a form of treatment and tool for self-development and exploration. In this world of instability, art psychotherapy can be the very answer to harmonise and reinvent the chaos within human minds and lives. 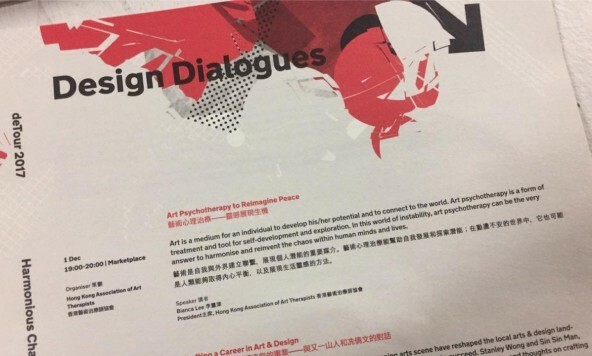 President of Hong Kong Association of Art Therapists, Honorary Lecturer at University of Hong Kong, US Registered Art therapist and Licensed Clinical Professional Counselor. Bianca has been practicing in the mental health field for over 10 years, connecting people from all walks of life, serving population from outpatient, inpatient, intellectually and developmentally disabled, LGBTQ, elderly care, natural disasters recovery, immigrants and the bereaved. Together they would cope with life changes, traumatic events, and physical or mental health management, grief and loss through artistic collaboration.